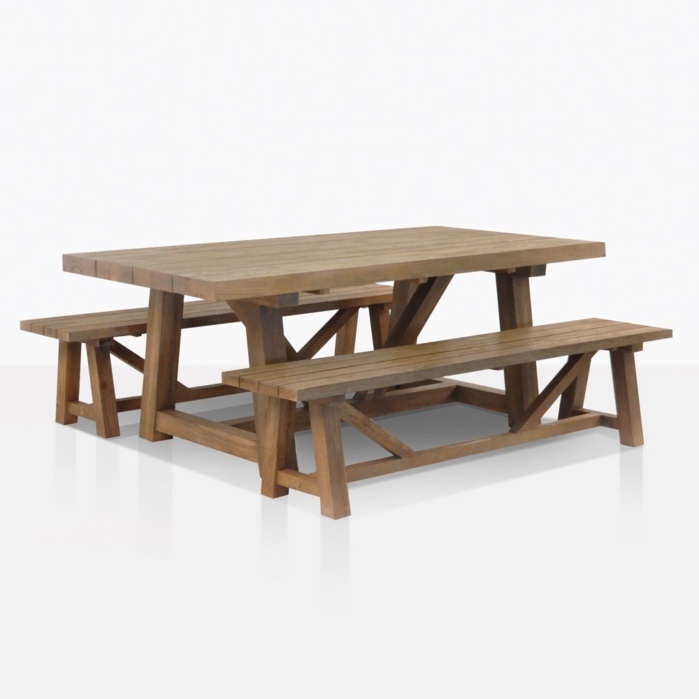 Robust and attractive, desired and convenient; the Trestle Dining Table and 2 Bench Set is a stunning solution to finding a dining set that will seat many people while taking on a chunky, contemporary flavor! 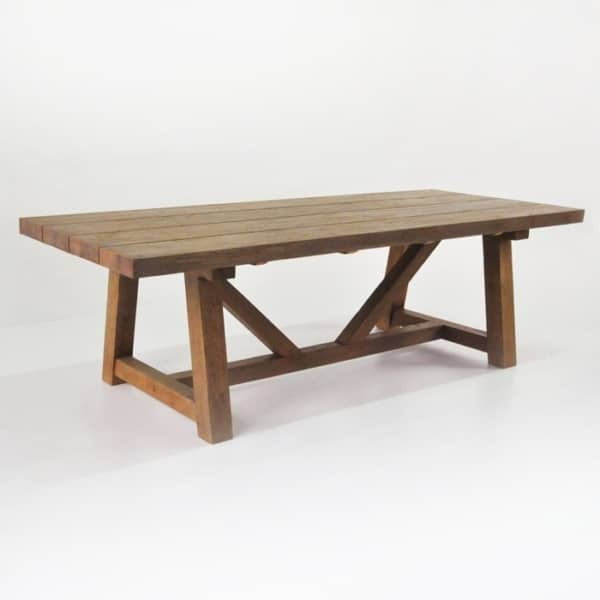 Featuring one 78” by 39” Trestle Table Reclaimed Teak and two 74” Trestle Benches; this setting can seat up to 10 people. 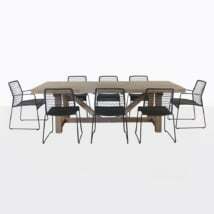 Personalize your dining set by choosing from our extensive range of dining chairs for the heads of the table! 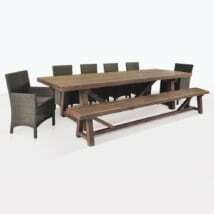 Each item is sold separately so you may mix and match to your hearts content! 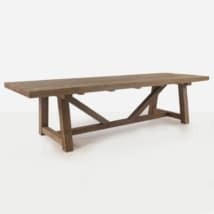 The Trestle Dining Table and 2 Bench Set looks wonderful in a lush, lavish garden setting or on a patio. It works in your interiors as well! Think of this incredible set up, contributing to a warm, welcoming farmhouse look. The Trestle Reclaimed Teak dining table defines classic country style with its amazing construction: 4 thick planks of recycled wood and a beautiful, chunky trestle base. 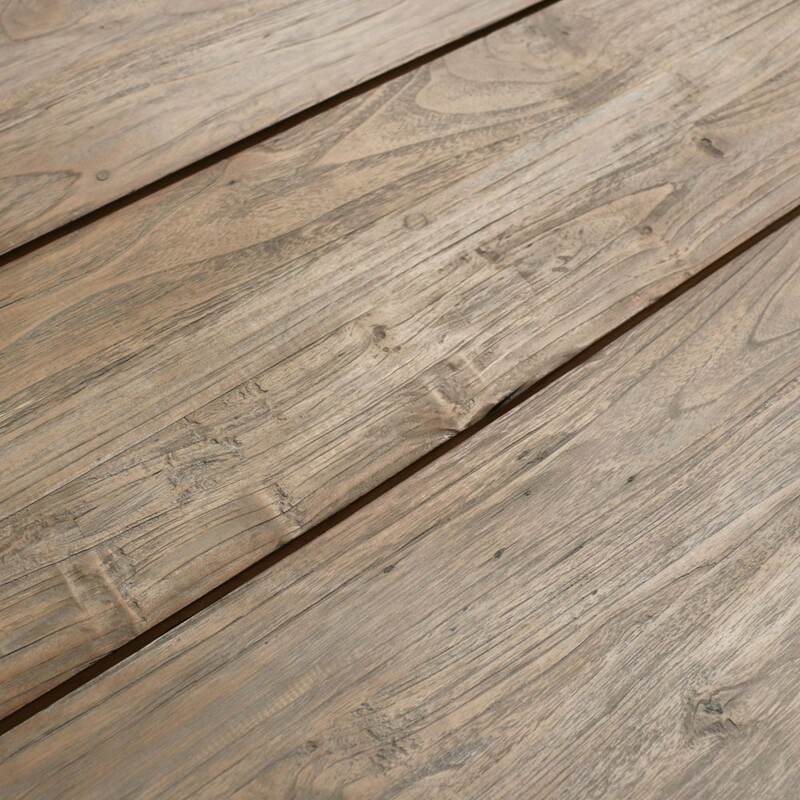 Its rustic look is completely suitable for the outdoors as well as in, as it is put together with marine grade materials. 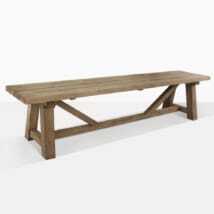 The table is available in 3 sizes, you can mix and match with outdoor wicker chairs or select this set with reclaimed teak trestle benches. 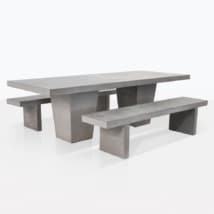 The benches – also in 3 sizes to fit the table – invite a relaxed and fun dinner party, and are perfect for families with children. You can’t go wrong with the Trestle Dining Table and 2 Bench Set, it will add a sense of occasion to every meal and keep you in comfort and style for years to come! 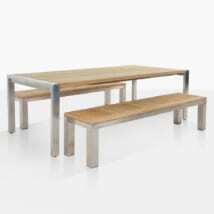 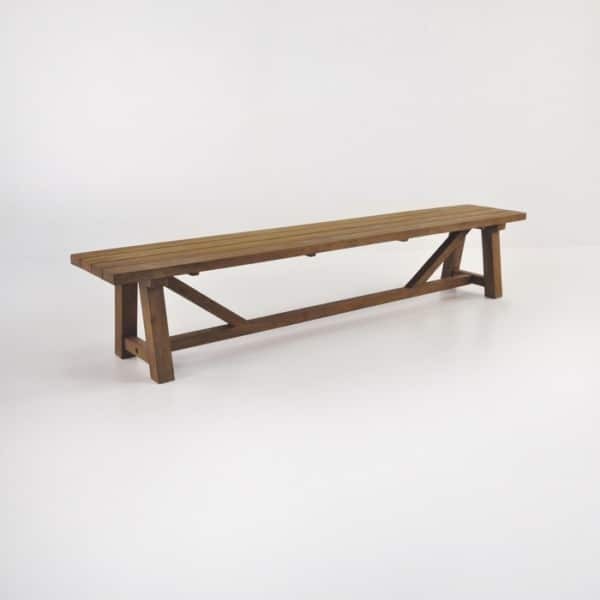 Have questions about Trestle Dining Table and 2 Bench Set or any of our other products? 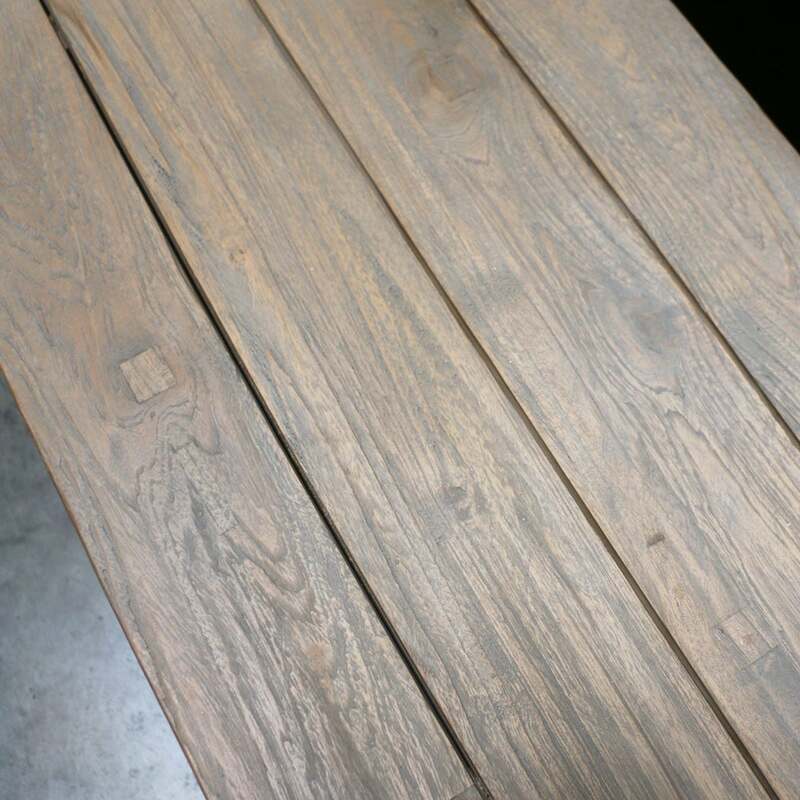 Our amazing, knowledgeable sales staff are on hand 7 days a week during business hours to help you with your furniture needs!